← Deal of the Week – Target kids games for less than $2 each! 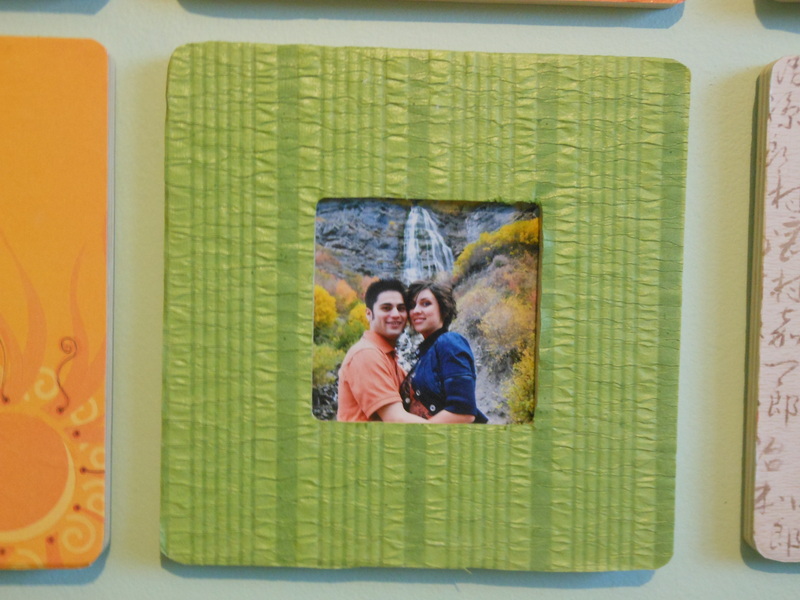 Custom Wall Art for less than $50! 1. 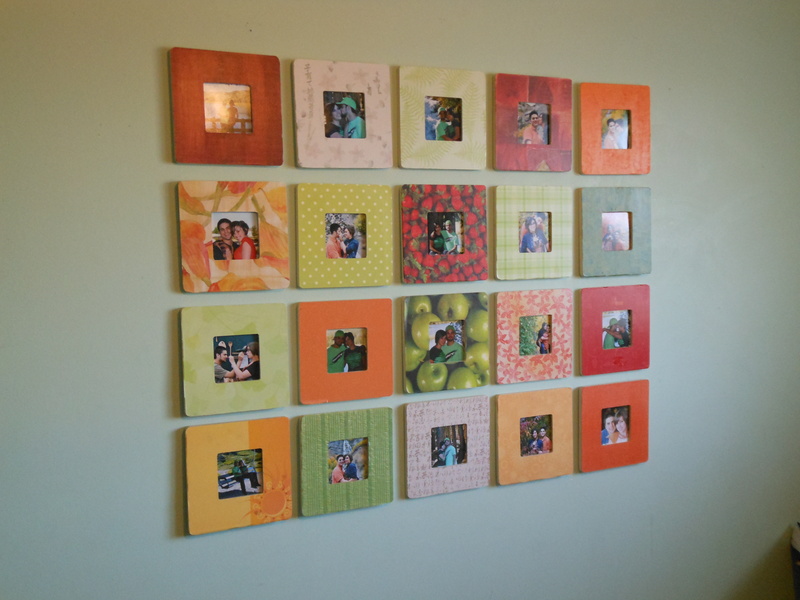 Lay the front of the wooden frame face down onto the backside of the scrapbook paper. 3. ModgePodge the front of the wooden frame and place paper onto it, then ModgePodge the right side of the paper to protect it. 6. Here’s the cool part- the back of the frames have a hole so you can stick a post in them to make them table decorations, but if you find nails that fit into the holes, you can stick them on the walls! I used about a 1″ spacing between pictures, and 20 pictures but you can adjust to what suits you. 7 Responses to Custom Wall Art for less than $50! Hmmmm….ideas flowing. I have a wall where the piano used to be that needs something. Absolutely customizable; beats tramping around through stores to find something that works. Thanks! Love this wall display! I am going to borrow your idea for above my fireplace, thank you for sharing. It would look great above a fireplace! Especially because you can customize the width with the number of pictures you use. I want a closer look ’cause it looks great! Thanks! I will check out.